What is Job Action Day? 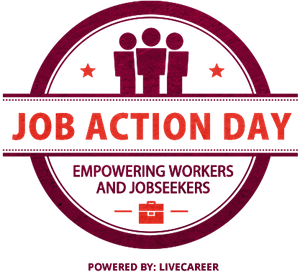 Job Action Day is a day of empowerment for workers and jobseekers. 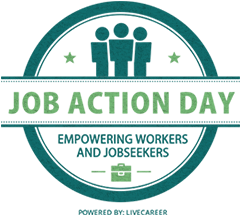 It’s designed to help people at all stages in their professional lives assess their careers, make plans, and take action steps. 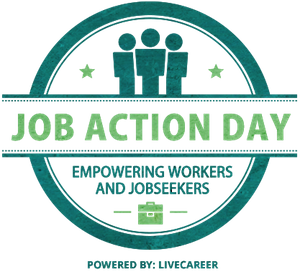 For those who are currently employed, Job Action Day is an opportunity to examine both the stability of your current job situation and the level of personal fulfillment you’re getting from it. It's a day to take stock of your career and develop a plan for your next steps. For jobseekers, Job Action Day is a chance to take a break from the daily grind of job-hunting and look at the bigger picture. It's a day to explore options and develop new and better ways to track down job leads and position yourself for employment opportunities. 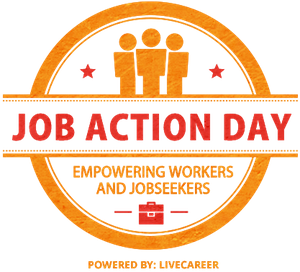 Job Action Day was started as an annual event in 2008 by Quintcareers, and continues under the sponsorship of LiveCareer, the web’s leading site for jobseekers and career changers. This annual event brings together career experts and bloggers to provide the most relevant advice to jobseekers and workers.